For several weeks now the internet at large has been blazing hot with the scorch of a thousand flamewars. It began with Batttlefield V boasting of its female characters and predictably spilled over to E3. That battle is not over, not by a long shot. During E3 press conferences we’ve seen some amazing games, but if you watched the streams you surely must have noticed the terrible toxicity of the life-chat. The flames were only fanned by more revelations- an open lesbian kiss in the Last of Us 2 and the inclusion of a female protagonist for AC: Odyssey. Cue outrage. Patrick Soderlund, EA’s chief creative officer responded to the non-controversy with statements that will, no doubt, only make the pyres go higher. “These are people who are uneducated- they don’t understand that this is a plausible scenario. And listen: this is a game. And today gaming is gender-diverse, like it hasn’t been before. There are a lot of female people who want to play, and male players who want to play as a badass [woman]” he said. He’s of course correct, but the internet at large predictably responded with platitudes and excuses. Battlefield was always striding the line between realism and pure fiction, but it really should be understood that NO game is truly historical and Battlefield V is not a history lesson, as Suderland himself pointed out. He stated “We don’t take any flak. We stand up for the cause, because I think those people who don’t understand it, well, you have two choices: either accept it or don’t buy the game, I’m fine with either or.” firmly planting his feet in the ground presumably. He’s calling your bluff. 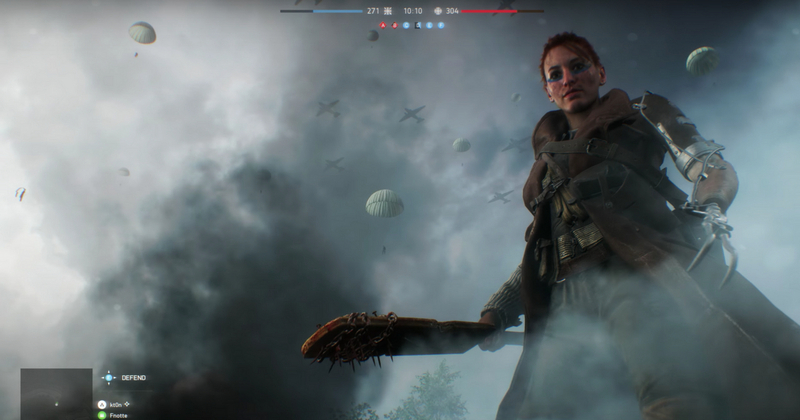 Now I genuinely want to see you skip on Battlefield V because of women. I dare you. And I want you to understand one thing as well- this was not a “cause” until YOU made it so. Nobody behind Battlefield thought this would be an issue, YOU made it into one. So congratulations.